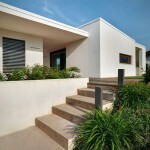 Villa CASA D was designed by Damilano Studio Architects in minimalist modern style in in Cuneo, Italy. Villa CASA D by Damilano Studio Architects has been designed connecting the three rooms located at the same level into a spacious living area with the view on the swimming pool in close vicinity of the villa. 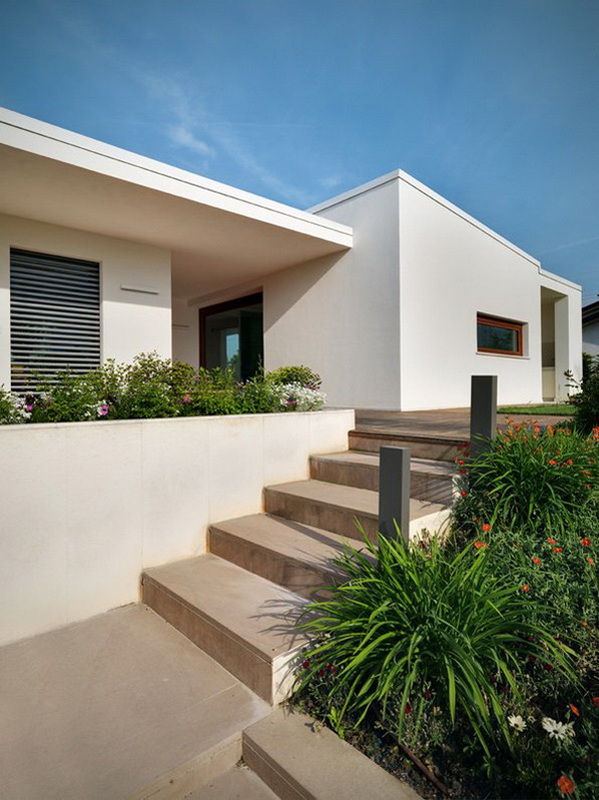 The villa by Damilano Studio Architects boasts much of natural lighting due to its light color scheme and floor-length windows and walls. The striped wooden flooring adds some warmth to the decor while brown wooden framing makes a great accent in the interior backing up the brown texture exterior finishing. 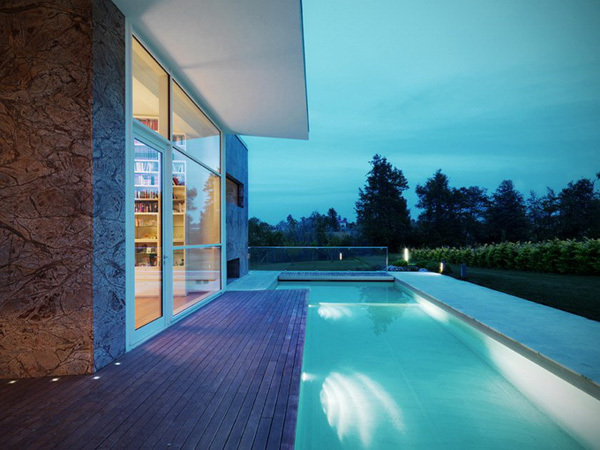 The flooring that leads to the pool is made in brown wood. 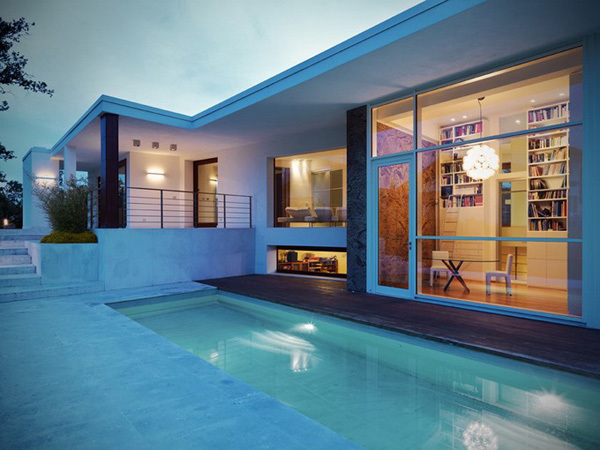 The pool can be accessed from the library room through the door and by the stairs outside the house. 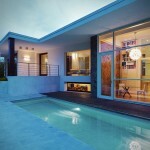 The inside rooms are also separated by glass walls which let in much light. Most of interior decor comes in white or off-white, minimalist shape and with modern touch. 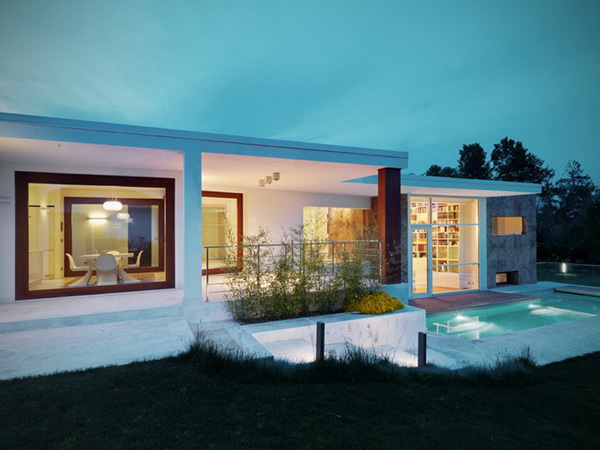 The green lawns and greenery outside the villa only add to the luxury of this modern house.